Hello! Today I am excited to share a card I created for my second week as the May Paper Smooches Stamps Guest Designer! To create my card I used the new release Daisies and Denim stamp set with matching dies. 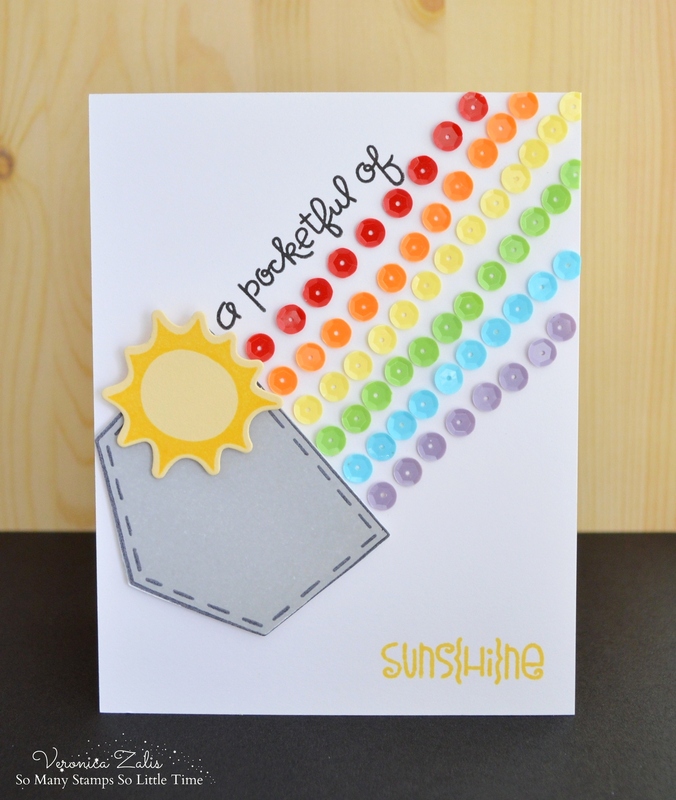 The sun, and sunshine sentiment are from the Paper Smooches "Spectrum" stamp and die set. This is my record for most sequins EVER used on a card. Something I found that made the process go a bit faster, I applied the glue to my card first, let it dry a bit, and then added the sequins. The glue I used was Tombo Mono Adhesive. Love that stuff! I am happy you stopped by, and I hope this brings a little bit of sunshine to your day! yay for guest designing.. and wow love how you added the sequins.. fabulous designing.. Such a fun and happy card!! !